For many e-commerce sites, the holiday season will be your busiest of the year. Black Friday is of course the biggie, but sales often start to increase even before then, and they’ll usually hold steady up until the last day holiday shipping is available. If you also have physical locations, then your website can continue to drive awareness – and people – to those retail locations up until the minute you close for the holidays. Is your checkout process smooth? Intuitive? You’ll want to eliminate any hiccups in the process, since losing even a tiny percentage of people at each step can really add up during the busiest time of the year. Can your website handle the increased bandwidth? The last thing you want to happen is for your website to be down on your busiest day of the year! You can log into your Google Analytics account and see your average daily traffic volume throughout the year as well as during the peaks of last year’s holiday season. If your daily non-holiday traffic has been on the rise, it’s probably safe to assume that this year’s holiday traffic will be higher than last year’s too. You’ll want to log in to your hosting account and see how much bandwidth you’re using and consider upgrading if you’re getting close to the limit. Are you optimizing your other channels? With an influx of traffic to your website, this is a great time to implement a pop-up encouraging people to sign up for your emails. Just be sure to include a strong value proposition for them, like perhaps 10% off or a sneak peek at holiday deals. Is your content easily sharable? Be sure your products/blog posts/awesome content can be shared across your users’ preferred social media channels (e.g. using a tool like AddThis). Your shoppers might want to create wishlists or send a gift idea to a friend, so you’ll want to make that easy for them. Is your customer service department equipped and ready to handle the influx of questions? Now might be a good time to implement live chat so that your online shoppers can get instant help without needing to call. Have you lined up discounts and promotions? It’s a good idea to test any coupon codes in advance (for example, on a dev site) to be sure you’re not inadvertently setting up a promo with costly loopholes or broken codes. 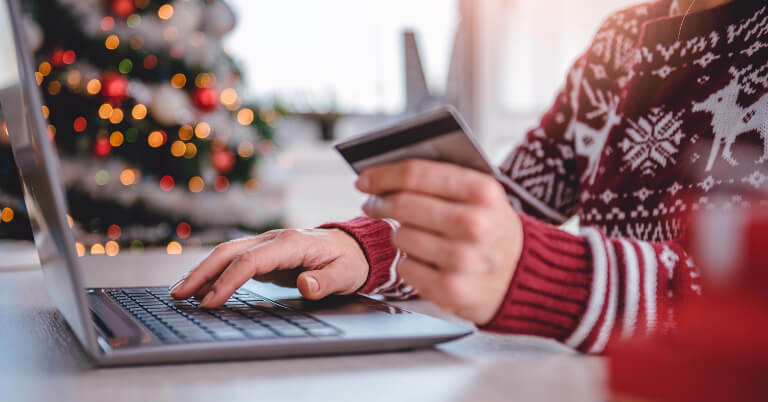 It can be a bit of work to get everything in place now, but it will help you have a smooth holiday season – which is when lots of new visitors will be arriving on your site. You can make a great impression that will last throughout the year. If you’re feeling the holiday crunch and need help getting your site ready for the busy season, get in touch with us! Our team of experienced web developers, online strategists, and digital marketers is here to make your holiday season a success.